Okay now originally I wasn’t going to do an article on how Eric Saward tackled the Daleks. I felt there were only really 4 writers who brought anything new to the Daleks on television, Terry Nation, David Whitaker, Russell T Davies and Steven Moffat, as well as one writer who brought something new to them on Audio, Nicholas Briggs. However having watched every Dalek story again recently, I now think that Saward also brought something new to them as well. I never thought of Saward as being much of a Dalek writer as by his own admission he didn’t much care for the Daleks. He said he found them to be boring and dull and if given the choice would much rather not have written for them. In his stories he often pushed the Daleks to the side in favour of Davros and other characters such as Lytton. That’s not of course to say that his stories where bad. “Revelation of the Daleks” is a classic story whilst “Resurrection of the Daleks” in my opinion is an underrated minor classic. However I never thought much of how the Daleks themselves were handled in them. 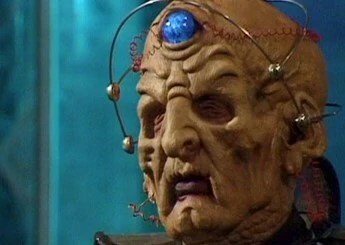 I enjoyed Revelation because it was a dark, intriguing story overall and Terry Molloy gave a truly captivating performance as Davros. 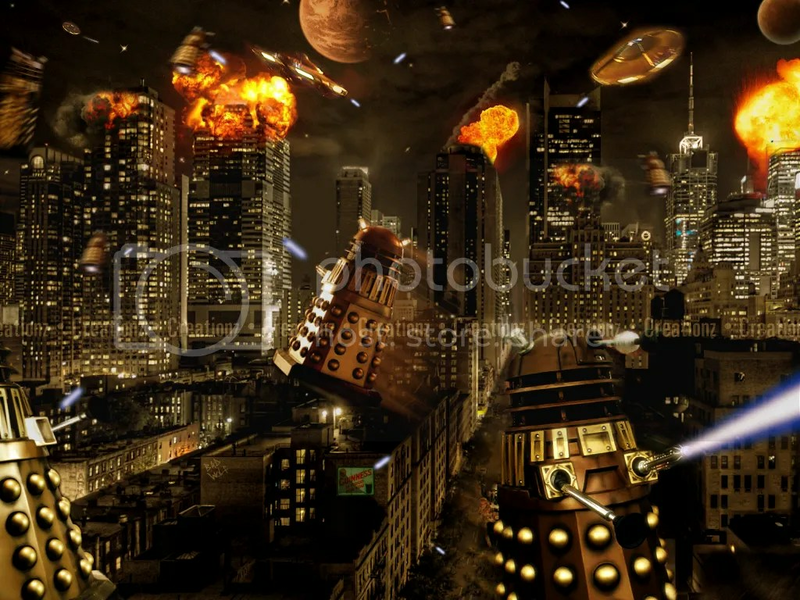 The Daleks however I felt were nothing more than just grunts in the story. However having given Saward’s Dalek stories a second look I now think that Saward not only brought more to them than I previously thought, but that his take on the Daleks was also quite influential on the new series too. Saward generally tended to write the Daleks as being more down on their luck and desperate creatures. When you compare them to Nations Daleks, creatures with a mighty, space faring empire, or to Whitakers Daleks, scheming geniuses, one of whom could destroy an earth colony. Or even to Russell T Davies’s Daleks, godlike creatures who can threaten every universe, they seem quite lame. We never see them launch big invasions of planets like earth, Spirodon or wage war on other life forms. In Sawards two stories their empire has been virtually destroyed by the Movellans and indeed their species has been virtually wiped out too. They are in no position to threaten anyone. They even need Lytton’s help to re capture Davros from a small earth ship something which Davros himself comments on bitterly. They spend far more time fighting among themselves than conquering other planets. It was quite a bold and daring thing to do, to make what had always been the Doctors most frightening enemies into weaker creatures, but I think it fleshed them out quite well. It added a new dimension to their characters seeing them now merely struggle just to survive after having always seen them as powerful creatures who had massive armies. Of course that’s not to say that Saward removed all of their menace by making them so vulnerable. Indeed as the Tenth Doctor himself said when the Daleks are vulnerable that just makes them even more dangerous. 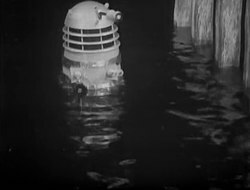 In Saward’s stories we saw the Daleks sink to new lows in order to rebuild their fallen empire. His first Dalek story “Resurrection of the Daleks” has one of the highest body counts of any Doctor Who story. It apparently has a higher body count than “The Terminator” and “Die Hard” combined. The idea of the Daleks being vulnerable does hark back to the very first Dalek story where we saw them desperately try and find a way to live outside of their casings. However Saward would explore it in more depth than in the first Dalek story, showing us how they were still not only trying to merely survive, but still conquer and destroy even in their most desperate times. 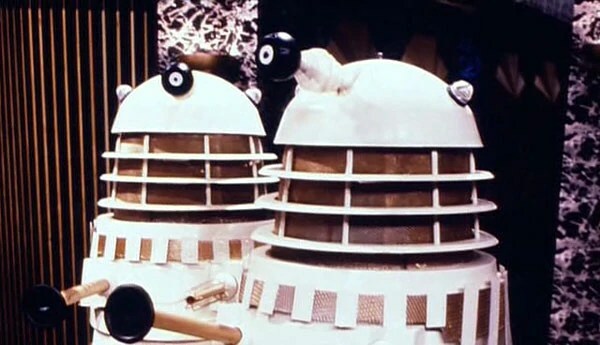 The idea of the Daleks being more desperate would also be revisited in the Davies era when the creatures were once again just like in Saward’s time nearing extinction, though RTD portrayed them as being more like long lost gods, where as with Saward they were more like former Nazi war criminals in hiding after the war. Another idea that Saward would use that would pop up in the new series was the idea of Daleks turning people into human beings. This is explored in Saward’s “Revelation of the Daleks” where we see Davros transform people into Daleks. Its a truly horrifying moment when we see a man halfway between being a Dalek and a human being. This scene makes use of a favourite trope of Saward’s, body horror. 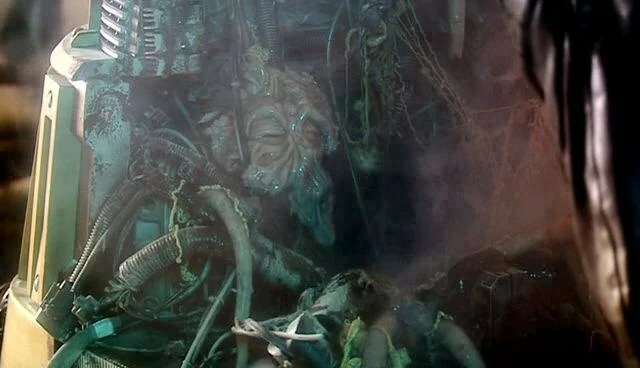 The idea of being transformed into a monster was also a lot stronger theme throughout the 6th Doctors era as well such as in “Vengeance on Varos” when Peri is transformed into mutation, or in “The Two Doctors” where the 2nd Doctor is transformed into an “Androgum”, or in “Attack of the Cyberman” where we see the gruesome Cyber conversion process in considerably more detail. I actually think that Saward wrote the Daleks as being more like the Cybermen in some respects. Throughout the 60’s the Cybermen had also been the desperate race who were struggling to survive and whose power base had been completely destroyed. Obviously the idea of body horror and becoming a monster were strong themes, if not the main themes throughout Cybermen stories too. 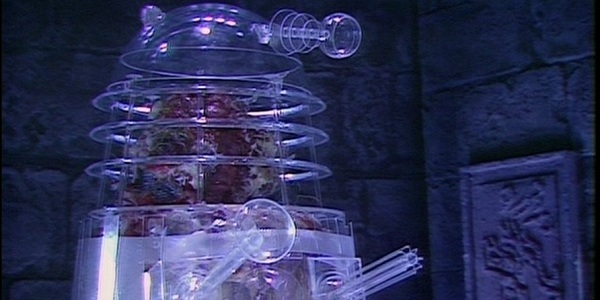 Saward however managed to bring these themes into the Daleks as well and they have since been used by other writers to great effect, with the idea of human beings being turned into Daleks being featured in “The Parting of the Ways” with the Emperor Daleks new human army and obviously in “Asylum of the Daleks” with the Oswin Dalek. Personally I think Saward handled the idea of human beings becoming Daleks better than other writers as he actually showed us someone who was half way between being a human and Dalek, not just physically but emotionally too. Stengos screams about Dalek supremacy whilst at the same time still shows a love for his daughter. Saward added a whole new dimension of horror to the Daleks, the idea that we could become them. Of course this is not to say that there were no problems with Saward’s Dalek stories. He did push them to the side in favour of Davros and he also unlike a lot of other writers didn’t really give them any notable interactions with the Doctor either. Still I think Saward is quite underrated and overlooked as a Dalek writer.. Even though he did not particularly like them he nevertheless came up with many interesting ideas for them that other writers would use to great effect too. Its also worth mentioning that despite his disdain for the Daleks he does still consider Revelation of the Daleks to be his best story. Like I said before this is one of the most horrifying moments in Doctor Who history. Its a truly disgusting idea and the effects are very realistic too. This is probably the most effective moment during Saward’s entire time as script editor alongside Lytton’s transformation into a Cyberman. I don’t know what he was thinking with this moment. To be honest I don’t know what he was thinking with the character of the DJ overall. This moment makes the Daleks look like doofuses as they just wander in and get zapped. The only redeeming feature is that the annoying DJ gets exterminated at the end.